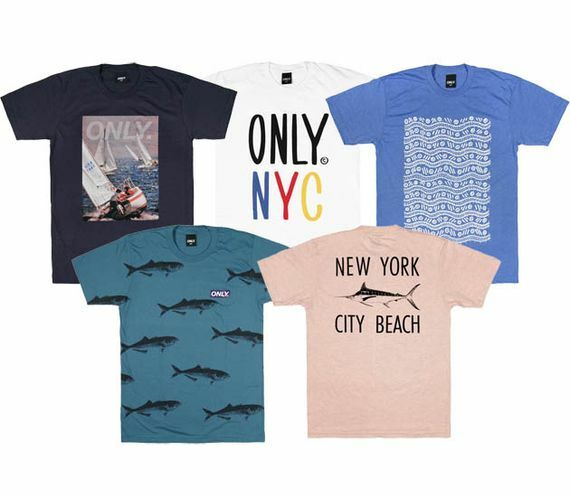 We’ve seen quite a lot from Only NY this year, and this latest set of T’s is sure to catch some eyes. With a wide variety of graphic t’s in varying colors, these all share a common, somewhat nautical theme. There’s a little something for everybody in the collection, and its nice to see a brand truly maintain a theme while straying from being predictable. These fresh t’s are available now, via their online store. More photos after the jump.